Though digital technology and software have made great strides in recent years; they still believe that nothing compares to the level of articulation, depth, realism, and responsiveness of a well-built piece of analog gear. When you hear the bottom-end presence and top-end detail of quality analog gear, the difference can be astounding. 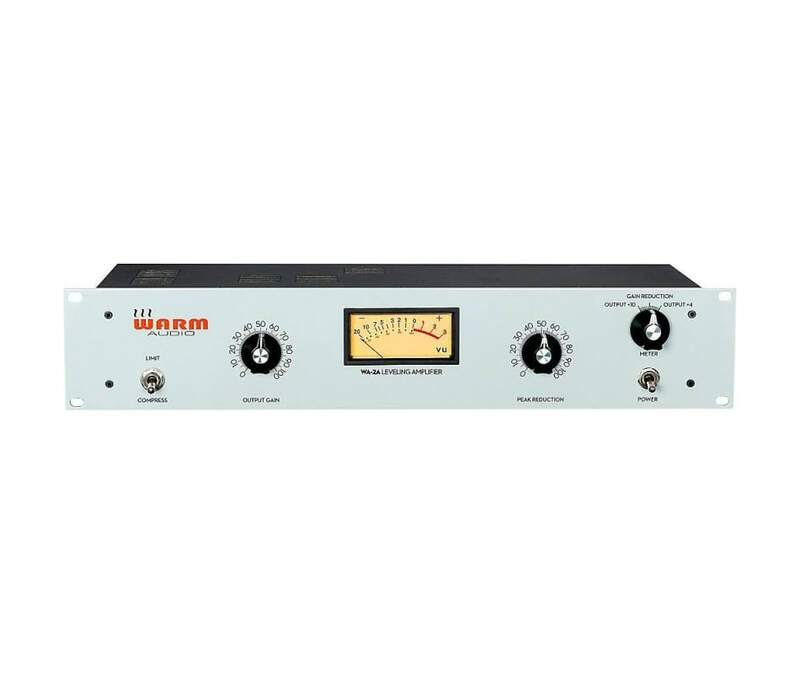 The cost of most boutique analog equipment is financially out of reach for many recording artists. Their mission is to change this, and introduce as many people as we can to recording and mixing with real, dedicated hardware. No plug-in or other compressor type quite compares to the warm, forgiving, fluid qualities of this classic '2A-style optical compressor. For decades, the renowned 2A style circuit has become the go-to device for seamlessly handling vocals, bass, and a wide variety of other instruments and program material in an effortlessly smooth way. Releasing the WA-2A would be for nothing if they couldn't make it affordable. Since the start of Warm Audio they have strived to give an unprecedented value to their customers, by putting high end audio within the reach of more people than ever before. This philosophy drives everything they do, and every product they offer. '2A Style, Transformer balanced, high voltage, opto tube compressor?